Conspirare joined a movie star, a rock legend, and a handful of others to receive the state’s highest creative honor, the Texas Medal of Arts. “There is a power in combining disparate voices,” Craig Hella Johnson said in his remarks, accepting the honor on behalf of Conspirare. Conspirare was recognized as a Grammy award-winning choir and for its national and international reputation for artistic quality and leadership. The group was also singled out for the ways the organization expresses generosity through teaching and for performing works that are culturally relevant. Watch video compilation shown at the Awards ceremony. 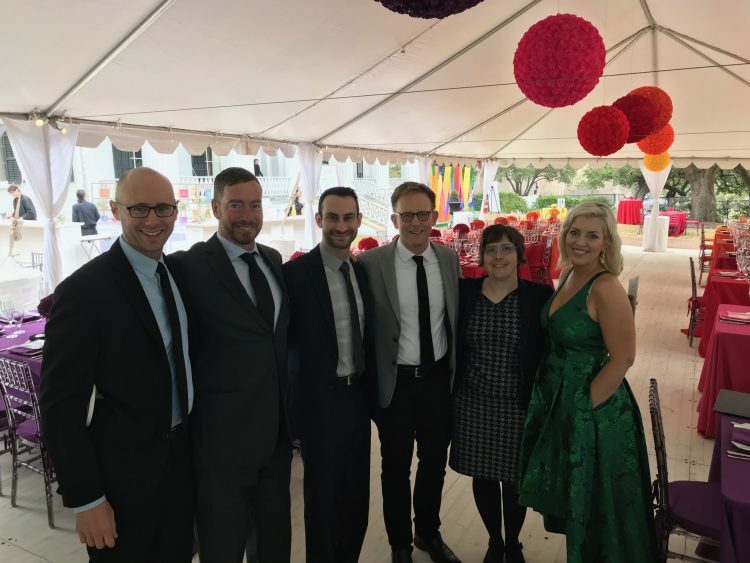 Earlier that day, Soprano Mela Sarajane Dailey, Baritone Simon Barrad and pianist Austin Haller performed for all honorees and invited guests at the Governor’s Mansion following presentation of the medals. 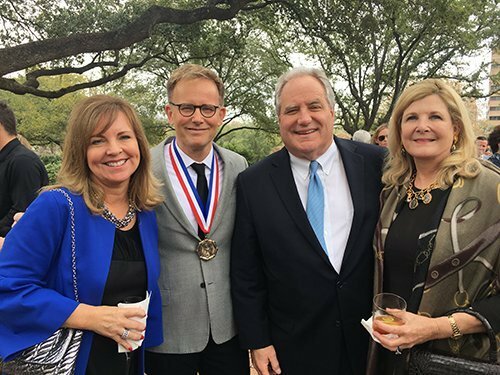 The Texas Medal of Arts is awarded by The Texas Cultural Trust to recognize creative greatness and generosity. Since its inception in 2001, the biennial Awards have recognized more than 100 Texas leaders and luminaries who have achieved greatness through their creative talents, as well as those whose generosity has opened doors to artistic opportunity for Texans of all ages. The Texas Cultural Trust is a nonprofit organization whose mission is to be the leading voice for the arts in education, advocacy, and economic impact in Texas, spotlighting the artistic excellence of Texas.